Jahleel Billingsley – TE – Chicago (IL) Phillips: Billingsley is a 6’5″, 225 lb. prospect with offers from Florida, Michigan, Ohio State, and Penn State, among others. He’s a 4-star, the #9 tight end, and #260 overall. Right now 83% of his Crystal Ball picks are for Ohio State. 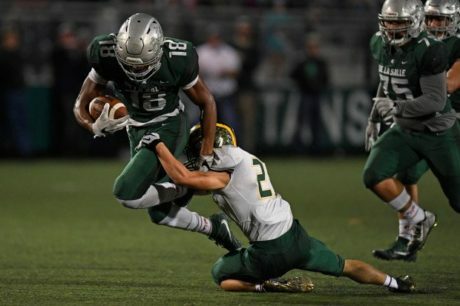 Jase Bowen – WR – Toledo (OH) Central Catholic: Bowen is a 6’1″, 178-pounder with offers from Kentucky, Minnesota, and Virginia, among others. He’s a 3-star, the #74 wide receiver, and #561 overall. He was previously committed to Notre Dame to play baseball. Zach Charbonnet – RB – Westlake Village (CA) Oaks Christian: Charbonnet is a 6’2″, 215-pounder with offers from Florida, LSU, Michigan, Notre Dame, Oklahoma, UCLA, and USC, among others. He’s a 4-star, the #18 running back, and #275 overall. 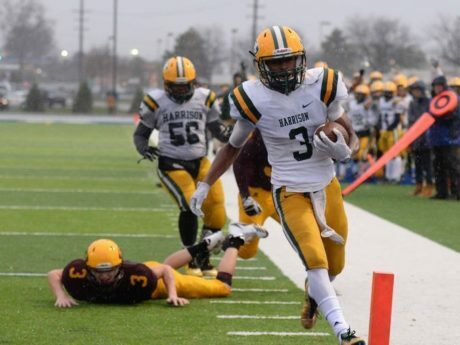 Daequan Hardy – CB – Pittsburgh (PA) Penn Hills: Hardy is a 5’10”, 160 lb. prospect with offers from Michigan, a couple service academies, and a few MAC schools. He claims a 4.45 forty and a 38″ vertical. I don’t always tout the underrated guys, but I really think Hardy’s recruitment is going to take off. He’s a pretty electric player. Will Harrod – OT – Fort Washington (MD) National Christian Academy: Harrod is a 6’5″, 305-pounder with offers from Maryland, Michigan, Ohio State, Oklahoma, and Oregon, among others. 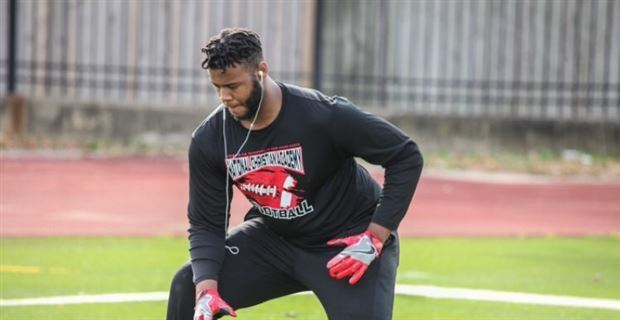 He’s a 4-star, the #21 offensive tackle, and #188 overall. There are eleven Crystal Ball predictions in for him, and every single one is in favor of Michigan; in fact, there are some who believe he will commit to the Wolverines during his trip. Now is the time to do some shopping on Amazon, folks. Thanks for your support! Cornelius (NC) Hough cornerback Jalen Frazier was offered by Michigan. He’s a 5’10”, 170 lb. prospect with offers from Duke, Minnesota, and West Virginia, among others. He’s a 3-star, the #101 cornerback, and #1082 overall. Atlanta (GA) Marist safety Kyle Hamilton was offered by Michigan. He’s a 6’3″, 188 lb. prospect with offers from Auburn, Clemson, Georgia, LSU, Notre Dame, and Ohio State, among others. He’s a 3-star, the #82 safety, and #1131 overall. As a junior in 2017, he had 60 tackles, 6 interceptions, and 8 pass breakups. Pittsburgh (PA) Penn Hills cornerback Daequan Hardy was offered by Michigan. He’s a 5’10”, 180-pounder with offers from Army and Toledo. Hit the jump for several more new offers.